Quality construction that maximizes living space to meet the needs of large and multi- generational families in the Payne-Phalen neighborhood. 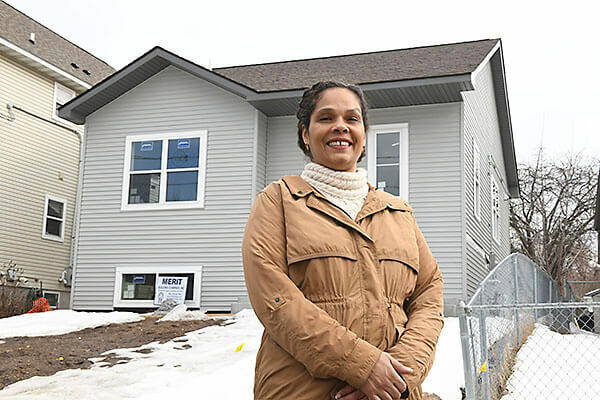 Dayton’s Bluff Neighborhood Housing Services is charged with developing quality affordable housing for Saint Paul’s eastside neighborhoods and has over 30 years of success. Our homes are high efficiency Energy Star rated and we make every effort to fit them in with the surrounding real estate. Soon to be for sale, 1268 Desoto is one of several 4br/2ba split entry homes at various sites. It has a two-car detached garage. The lower level has a family room with two bedrooms and a full bath. The upper level has living, dining and an open kitchen floor plan with two bedrooms and a full bath.